Eight days after the big day, Bill Shorten conceded defeat and Malcolm Turnbull was confirmed as continuing in his role as Prime Minister, having reached the necessary 76 seat majority to form government, and with support from three independents to govern. This election has been remarkable in a number of aspects: it was the first double dissolution of Parliament since 1987 and it was one of the longest election campaigns on record, officially running for nearly 8 weeks after its announcement on 9 May 2016. This election has also seen cliff-hanging results in at least 5 seats which has meant that even after 10 days, the final seat count of the election is not yet final and relies on the counting of absentee and postal votes. It did not bring Mr Turnbull the glorious victory that he might have hoped and the issue that triggered the DD, the establishment of the Australian Building & Construction Commission, barely got a mention by either of the big parties in the campaign. Although nationally there was a swing towards the Greens of 1.3% with a first preference vote of 9.98%, we did not clinch our most likely inner-city seats such as Grayndler in Sydney and Batman in Melbourne. Greens candidate Alex Bhathal in Batman received a 9.6% swing but was outbid at the last moment by Labor. In Grayndler, Labor candidate Antony Albanese preferenced the Liberals ahead of Greens candidate Jim Casey, despite his false claims that the Greens would preference the Liberals, apparently calculated to destabilise voter confidence in the Greens. In Reid, sitting member Craig Laundy recorded a 0.9% loss in primary votes but retained a comfortable 4.7% majority including preferences, while Labor candidate, Angelo Tsirekas, the former Canada Bay Council mayor, also recorded a slight swing against him. Greens candidate, Alice Mantel increased the Greens first preference vote to 7.9% and recorded a 0.9% increase. The Christian Democrat Party and Family First recorded 6.2% of the overall vote, representing a 4.8% increase in the religious vote. The full outcome of Senate voting is not yet known but Lee Rhiannon has been returned as Greens Senator for NSW and the Greens have certainly lost one of two senators in South Australia, with other Greens senators still at risk in Western Australia and Tasmania. It can also be expected that the representation of smaller parties such as the Xenophon party and Pauline Hanson’s party can expect to increase their share of seats and cause on-going disruption to an over-confident Coalition government. Elections are about making choices. The choices we make reflect our values and aspirations. For those who choose for their precious places to be protected, for a smart economy based on education and innovation, for women to be safe to thrive and succeed in their chosen careers, for younger people to get a fair go in the housing market, for children and future generations, for a just settlement with Aboriginal and Torres Strait Islander peoples, for poverty alleviated not entrenched in our society, for equal access to first class education, health and social services, and for a vibrant, prosperous and creative Australia — your choice is the Greens. Thank you to all the members and supporters who contributed their time and energy to our campaign – we could not do it without you. The forced merger between Strathfield, Burwood and Canada Bay councils has been halted in the New South Wales Land and Environment Court as a result of a court challenge by Strathfield council. The Court determined that there were legal flaws in the report from the State Government appointed delegate who recommended merging the councils. A number of other councils including Mosman, Hunters Hill and North Sydney also have challenged the Government’s proposed amalgamations and were buoyed by the result of this challenge. On 12 May 2016 the State Government created 19 new councils under its forced amalgamation program which reducing 152 councils to 112 with a delay in respect of the 9 councils that have commenced legal action. The mergers have resulted in the sacking of hundreds of councillors and the appointment of administrators to administer councils until the next council elections which have been postponed until September 2017. The first meeting of the new Inner West Council which was the result of the merged Leichhardt, Marrickville and Ashfield councils was marked by a strong resident protest. Several councils escaped being merged, notably the proposed amalgamation between Walcha and Tamworth council, which was strongly opposed by the Deputy Prime Minister Barnaby Joyce. Other mergers which will not be proceeding include the Hills and Hawkesbury Shire and Kiama and Shoalhaven councils. Meet the Greens candidate for Reid, Alice Mantel and help clean up this site. Let’s make it the biggest and best ever! Join an existing site or register your own. Despite a finding by a parliamentary committee, for the past 3 years, the NSW Government has known that the process for valuing homes forcibly acquired for major infrastructure projects – including WestConnex – is unfair to home owners. As reported in the Sydney Morning Herald (p1) this morning a parliamentary committee chaired by Liberal MP Matt Kean found the compulsory acquisition system is “unfair and inadequate”. Yet the Government has forged ahead, acquiring a number of homes along the WestConnex route, with many more targeted for acquisition in the coming months. MP for Newtown and NSW Greens WestConnex spokesperson Jenny Leong has called for a moratorium on all home acquisitions until a fair process has been determined and an independent inquiry of WestConnex has been undertaken. “This is yet another reason why the construction of WestConnex needs to be halted until a full inquiry is undertaken. With the whole WestConnex project looking shakier by the day, people should not be forced out of their communities for what is looking more and more likely to be a failed project. “Over the past year I have been in direct contact with extremely distressed residents, some of whom have lived in their homes for 40 years, that are facing the loss of their homes. The impact on so many families, elderly people and individuals is life-changing – it’s disgraceful. “Families are being forcibly uprooted removed from their homes and communities, before planning approvals have even been granted. Without sufficient compensation these families are unable to find a new home in the same local area – and that’s unacceptable. “Why hasn’t the Government taken the advice of a parliamentary committee chaired by one of its own MPs? Does it have something to do with the already massive budget blowout on this disaster of a project? “The community opposition to WestConnex is clear. It seems like every other week there’s a new story about cost blowouts, health concerns, lack of transparency – and now confirmation that the Government is taking advantage of people who happen to live along the route, by not offering them fair and just compensation,” she said. Every hour, enough sunlight blasts the earth to power humanity for a year. By 2050, across the entire world, solar energy could power our computers, phones, lights, hot water – anything we use electricity for today. There would be no need to pollute the planet with oil, coal or gas. Plus, solar panels are cheap at the moment. What better way to save a heating planet? Low apprenticeship and traineeship completion rates, declining enrolments and rising shortages of key skills are warning signs that something is going badly wrong in a key sector of the state’s education provision. Department figures show there are 123,481 apprentices and trainees in NSW. Apprenticeships usually last between three and four years. Drop-out rates are high, with just over half of those who enrol completing. Enrolment rates continue to fall. As part of their campaign for the rights of young people in education, the Young Greens are working with my office to highlight the plight of apprentices. We jointly held a forum in Ashfield on 11 June, addressed by Mark Burgess from the Electrical Trades Union, Rebel Hanlon from the CFMEU Construction Division, Phil Chadwick from the NSW Teachers Federation and Greens Senator Lee Rhiannon. Forum speakers highlighted the challenges facing the apprentices. Barriers to entry: At a time of high youth unemployment, participation is falling. The number of people starting an apprenticeship in Australia fell by 21.9% from 2013 to 2014. Finding an employer, accessing a TAFE college and purchasing the tools and equipment needed for the trade are turning too many young people away. Fewer employers taking on apprentices: There has been a sustained decline in the number of apprenticeships offered. Privatisation of the state’s electricity grid is likely to exacerbate the long term trend. TAFE offers less assistance: The Baird government’s Smart and Skilled competitive training market has dumped TAFE into competition with low-cost, low-quality private providers. TAFE has responded with larger classes, cuts to teacher contact hours and increased inappropriate use of on-line learning. Pre-apprentice courses and learning support have become much harder to find. Young people with diverse learning styles are increasingly struggling to successfully complete their course work. Federal assistance has cut: Grants to help apprentices purchase the tools and equipment they need (‘Tools for Your Trade’) have been replaced by the Abbott government with an income-contingent (HECS) loan for $20,000 (‘Trade Support Loans’). Many students cannot afford their tools and are turned away by the prospect of starting their working lives with a substantial debt. Unliveable pay and conditions: Despite pay increases in 2013, many apprenticeship rates are below those for unskilled employment. While apprentices receive one day a week release from work to attend TAFE, some employer groups are seeking to revert to night school or to force apprentices to spend two years studying full-time without wages before they receive on-the-job paid work and training. Many employers prefer to employ overseas workers on 457 visas than train apprentices. As NSW faces both increased expenditure on infrastructure and a growing issue of youth unemployment, government purchasing should focus on demanding contractors take on apprentices and support them throughout their training. Richard worked as a GP all over the country, from Geelong to Tennant Creek where he worked in an Aboriginal health service. Richard’s work in public health also took him to India where he worked to combat the spread of HIV. Richard’s family is part of the wonderful Australian experiment called multiculturalism, and their story is not an uncommon one. His father came from Siracusa in Sicily at age 29 and learned English while doing his apprenticeship to become a sparky. His mum and her parents came here from San Marco, a small village in Southern Italy and opened up a grocery store in Brunswick. 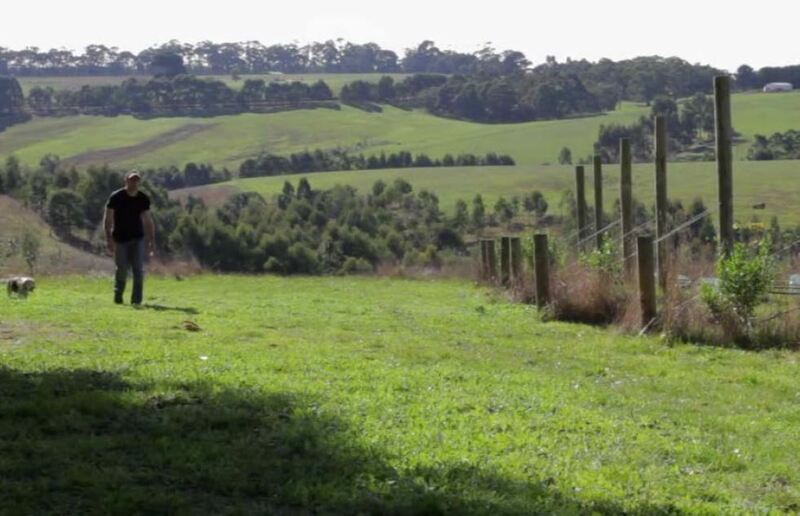 Richard lives with his wife and two boys on a farm in the foothills of the Otway Ranges. The farm is home to cows, chickens and pigs and Richard makes his own homemade vino and olive oil. A long suffering Richmond supporter, Richard was himself a ruck rover in the VFA for six years. 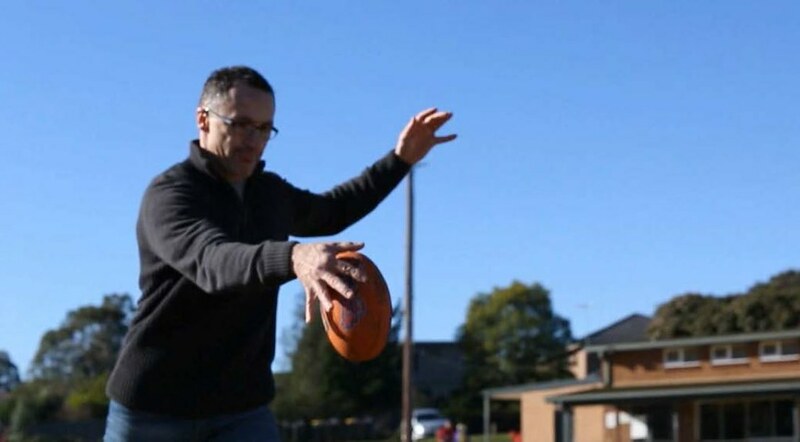 A knee injury put an end to his footy days, but he’s still loves to play golf or cricket when he gets a chance. As a child Richard tried to convince his parents to buy him a puppy by studying up on dogs as proof of his commitment. His plan failed but Richard continues to claim that identifying dog breeds is his superpower. The Godfather and Eternal Sunshine of the Spotless Mind. He also loved watching the Muppets movie with his kids. 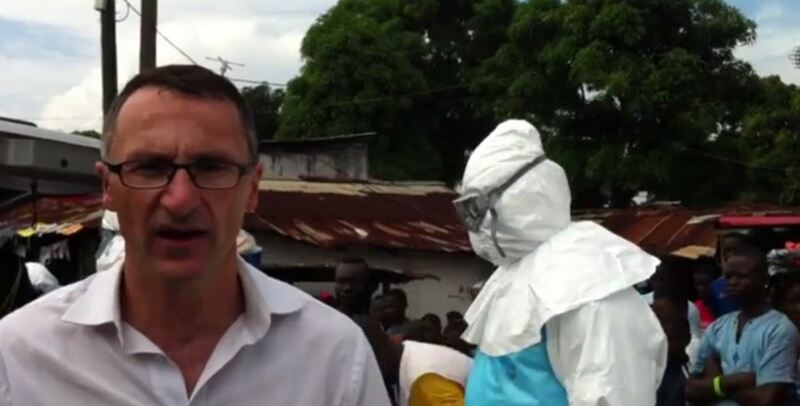 Richard travelled to Sierra Leone and Liberia during the peak of the Ebola crisis. 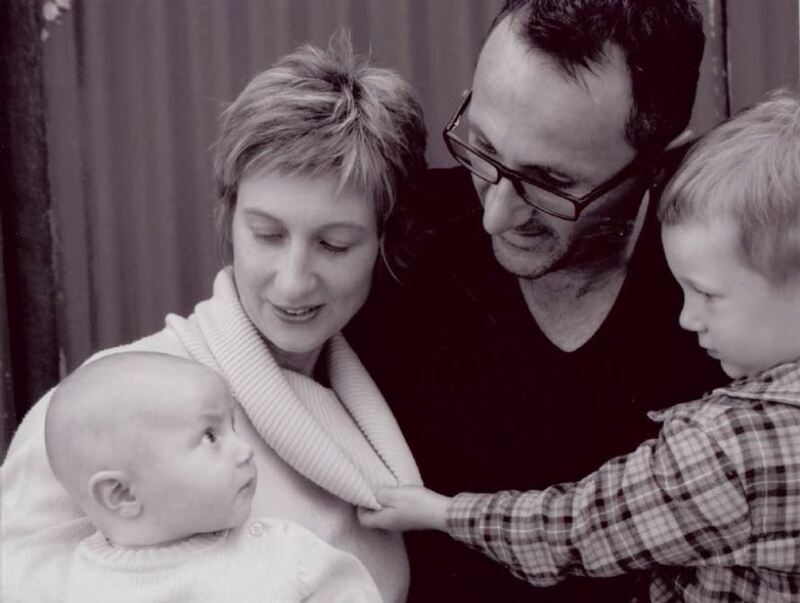 As a Senator with a background in public health, Richard felt he had an opportunity to shine a light on the situation, meet with key people on the ground who were leading the global response, and to allay fears about people from the area. Richard has a passion for photography and at one stage of life he briefly considered pursuing it professionally. He even has a diploma in freelance photography. 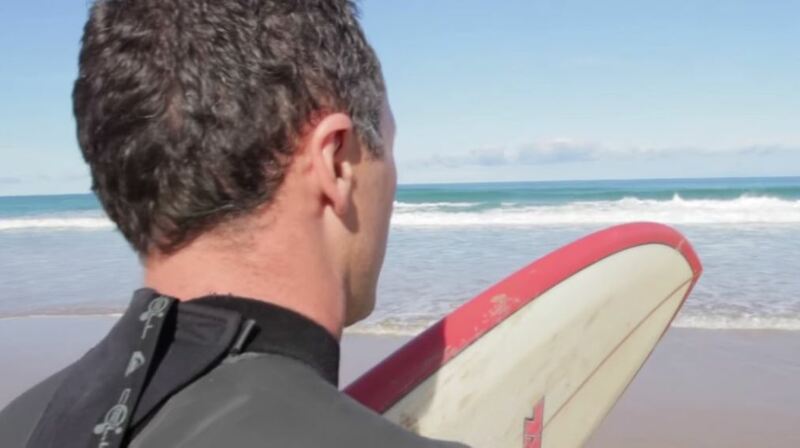 One of the reasons Richard loves living in the Otways is the proximity to the Surf Coast. He’s a keen surfer, but he’s no Kelly Slater. True to his Italian roots, Richard loves to make pizza in his outdoor wood fired oven. The AEC recently released the reports of donations above $12,400 given to all political parties during the financial year of the last federal election. Can you guess who got the most? Wait until you see who’s behind the money. In the next couple of weeks we will launch our End of Financial Year fundraising appeal. Featuring Christine Milne, the appeal talks in detail about the need for us to fundraise at a grassroots level as we prepare for the biggest election battle of our 23-year history as the Australian Greens — the 2016 federal election. We know that, no matter how much we plan and prepare, the old parties and Big End of Town will continue to outspend The Greens during the election campaign. Are you bored yet? Many people glaze over when fundraising is mentioned. Asking people for money….it’s all so gauche somehow. But without it we are dead in the water. The truth of the matter is that without donations made to our party we cannot compete with the old parties or the cashed-up millionaire party of Clive Palmer. The Australian Electoral Commission (AEC) has recently published Annual Returns for the 2013/2014 financial year. By law, all registered political parties in Australia must lodge a return with the AEC, declaring all individual donations over $12,400. That first column is the number of individual donations over the threashold of $12,400 which were declared. The Nationals and PUP only report to the AEC donations over the threshold while the Liberals have reported a handful of gifts between $5,000 and $12,300 and The Greens and the ALP report some smaller donations. However, so we are comparing apples with apples, donations under the threshold have been omitted from this table. Other receipts refers to amounts received which don’t meet the legislative definition of ‘gift’ (commonly referred to as donation). Examples are interest on investments, dividends on shares, and reimbursements for public election funding from the AEC. In the case of the Australian Greens, this includes contributions by state parties and distributions to the States of funds raised by the Australian Greens. Over in the red corner the ALP declared a $600,000 single donation from Chinese conglomerate Australia Kingold Investment Development Co P/L who — according to their website — is ‘anchored in the real estate industry… investments include education, culture, mass-media, catering and hotels, telecommunications, pharmaceuticals, healthcare and beauty, smart card systems and eco-tourism. That’s quite a list. In addition to this gift, contributions totalling $80k were made by AUSTRALIA KINGOLD INVESTMENT DEVELOPMENT CO. PTY, Kingold Group, Kingold Group Companies and Kingold Investment group. All have similar names and all are located at the same address in Chatswood, NSW. The ALP’s top individual donor was Zi Chun Wang who, according to The Guardian, “is employed by a Chinese-Australian property development group called the Ever Bright Group. The company confirmed he is currently employed at the group and working in China.” His contributions total $850,000. In the blue corner, the Libs list is abrim with a who’s who of big business. Vapold Pty Ltd contributed $1.9 million to the party, and it’s interesting to note that one of its directors is John Calvert-Jones — a stockbroker and Rupert Murdoch’s brother in law. The web of intrigue gets thicker here. According to the SMH another director of that company is Charles Goode, a retiring Director of ANZ — also a big donor to the party. The Cormack Foundation has been raising money for the Libs for years now and two of the three directors are none other than John Calvert-Jones and Charles Goode. In 2013/2014 alone, this foundation donated $4,260,000 to their Liberal mates. Not all donors hide their contributions in a myriad of foundations, trusts and clubs. Village Roadshow, Cabcharge Australia, Clubs Australia, Nimrod Resources and tobacco giant Philip Morris have — between them — contributed $1,075,000 to the coffers. Kingold — the ALP’s top donor — also slung $200k to the Libs. The Nationals too have declared a gift from Kingold to the tune of $100k and contributions from Philip Morris ($20k) and Australian Hotels & Hospitality Association ($50k). It’s interesting to note that on their own, the Nationals wouldn’t be able to compete at the level they currently appear to — they clearly rely on their wealthier coalition partner. Intriguingly, the Greens polled higher than the Nationals on primary votes in the NSW Election — but got nowhere near the number of seats. The return submitted by the Palmer United Party is a list of Clive’s assets united. Palmer Leisure contributed $90k, Palmer Coolum Resort $2.2million, Mineralogy $8.2million, Queensland Nickel $15million, and Clive himself managed to contribute some loose change: $101k. We Greens declared a mere $1.7million across the entire country — above the Nationals but well short of the others. We all know that contesting elections is expensive. Clive is preparing to sue Jacqui Lambie and Glenn Lazarus for costs incurred by the Palmer United Party for their election campaigns. Jacqui is facing a bill of $2 million; Glenn, $7 million. $9 million for two people. By comparison, the Australian Greens spent less than $5 million on the 2013 election — across the whole country. 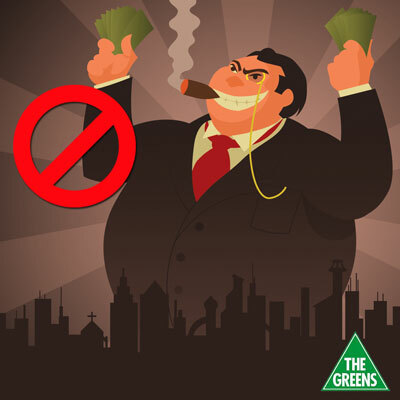 It’s not that we Greens don’t accept donations from unions or corporate entities. With the exception of the Greens NSW (where it is a Party policy that corporate donations cannot be accepted) all State parties — and the Australian Greens — can accept donations from organisations. However, donations are vetted by Donation Reference Groups (DRG) in each state — and in the case of contributions being made to the Australian Greens — the DRG has representatives from each state and contributions over $1,500 are listed on our website. 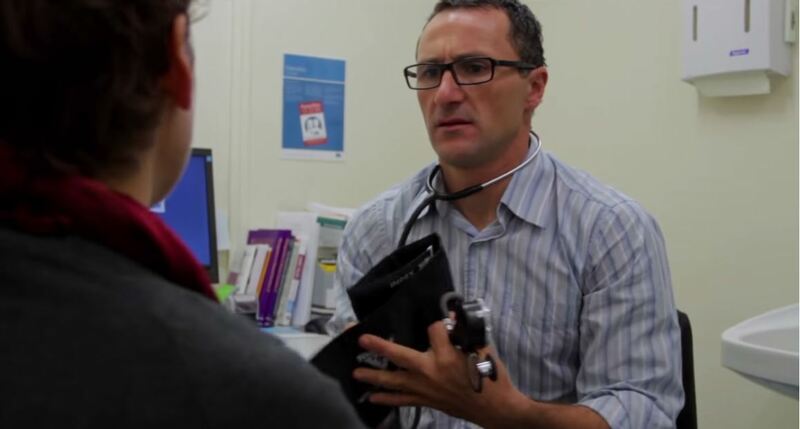 The Australian Greens donation policy clearly states that the Greens “…ensure that the values and aspirations of all donors are not inconsistent with those encapsulated in the policies and the Charter of the Australian Greens”. You can read that full donation policy online too. And we must stand by this. Not because it is just the right thing to do — but also because we must not be put ourselves into a position where we could be seen to be compromising our fundraising with political favours. In the face of enormous contributions by vested interests to the old parties, we rely upon donations from our members, our supporters and the fundraising efforts by our Branches and Local Groups to fund strategic, clever and well researched election campaigns. It is the only way that we can keep standing up for what matters and it’s the only way we can continue to build our party across the country. And the stronger our party, the stronger our vote. Not so boring any more, huh? Please donate to our end-of-financial-year appeal today.